Paul. haha. Wallpaper and background images in the Paul McCartney club tagged: paul mccartney cute the beatles 60s. 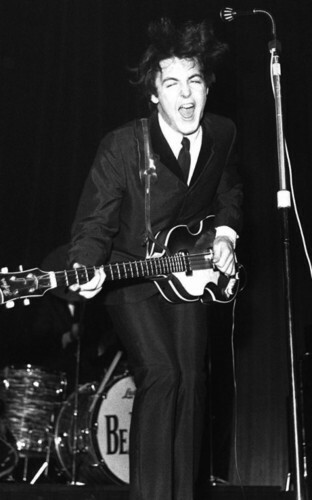 This Paul McCartney photo contains ギタリスト, ギタープレーヤー, ギター プレーヤー, and コンサート.